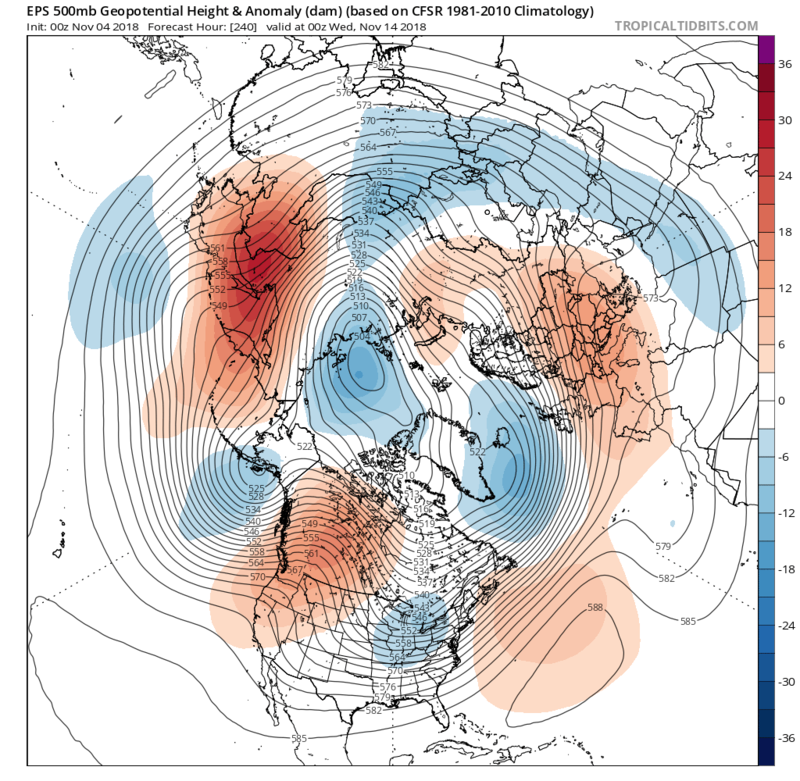 I think that the majority of the time, as was the case with the notably cold Novembers between 1910 and 1925, the heart of winter is then unlikely to bring much in terms of cold weather, so wishing for notable early season cold in November can often be bad news as far as the rest of the winter is concerned. I actually think that the trend shows up in the records that November showed a warming trend from around 1930 onwards, and then the warming trend started in October around the late 1950s onwards. Yes, November has shown one of the clearest warming trends (at least in terms of the CET) I've found along with October as you say and maybe April too. Haven't looked at the Novembers named besides 1919 and 1965 to judge on how wintry they were outside of the fact they were quite cold. when you say huge?...can only see a couple inches here..
That was the road near me on the Friday night and the best quality pic I took of it. The pics I took don't give justification to the amount of snow on the road though, was difficult to take one. Great thread - this was an interesting read. Thank you! Certainly a lot of passion and thought injected into your findings and reasons! Very few if any of the really cold Novembers of 1910, 1915, 1919, 1923 and 1925 led to winters that had much in the way of cold weather, and in fact some of them were mild overall or at least had notably mild periods in them (Jan 1916, Feb 1926 to name some). So getting a really cold November in this time period was mostly not good news for the heart of winter to be cold. This goes to show that wishing for very cold weather in November sometimes means that the heart of winter that follows may be disappointing. I think that more of the colder Novembers during the 1960s were followed by winters that had more in the way of cold weather than most of the really cold Novembers in the early decades of the 1900s. That wasn't my intention, was just pointing out that the Novembers of the early 20th century were far more impressive than Novembers in the 60s with the exception of 1965. November 1919 was the coldest part of that entire Winter. The saying goes: "Ice in November to bear a duck, the rest of the winter will be slush and muck". This is just a coincidence to me. November 1878 was severe and was followed by an extremely long and cold Winter with a lot of snowfalls for one example. The winter of 1965-66 is hardly what I would call a particularly cold one overall. After a well below average November, Dec 1965 was fairly average (4.7) and very wet. Only January of that winter itself was below average, though still not significantly so (2.9). Feb 1966 was actually well above average (5.7), though I believe there was still a spell of colder weather for around a week around the middle of the month. Winter 1965-66 had a CET of 4.4, which was still a touch above average at least for that time period; certainly not what you would call a cold winter overall, although in fact there were still a good deal of cold spells with good synoptics and a fair amount of snow for some parts of the country. 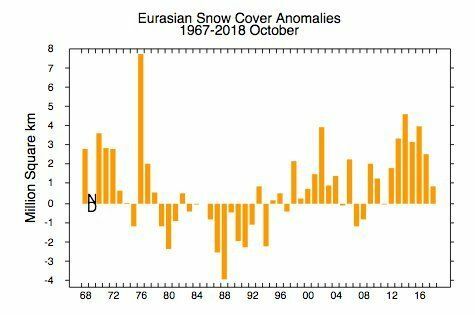 In actual fact I believe that a number of other Novembers in the 1960s also brought snowfall at times to parts of the country, and many of the 1960s Novembers were actually below the average in terms of the CET. Let's take a trip back to one of the snowiest Novembers of the last 100 years, November 1965. November 1965 is a month I don't hear talked about much. When it comes to November snow, it's nearly always the likes of 1985, 1993 and 2010 mentioned. 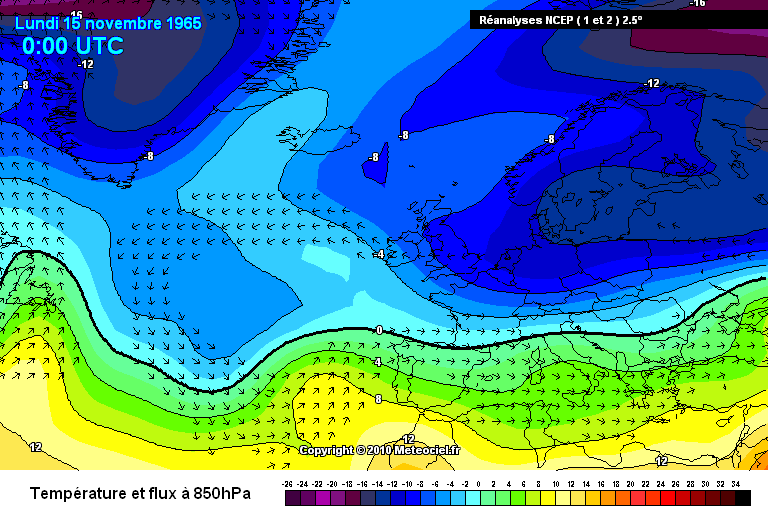 However, November 1965 was exceptionally snowy by November standards over various parts of the UK. The Central England Temperature (CET) for November 1965 was 4.5c which is well below average by modern standards but not among the coldest on record, November 1985 was slightly colder for instance at 4.1c whilst November 1919 had a CET of 3.3c. It was only the coldest November for the CET and also much of England & Wales since 1952 but for Scotland, it was the coldest November since 1925. 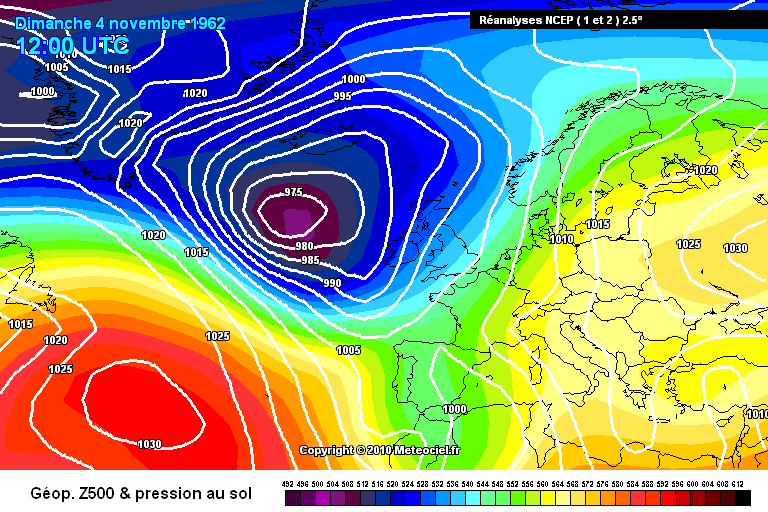 Deep area of low pressure pushed southwards down the North Sea on the 1st November 1965 bringing down a northerly flow of air. This deep low brought a maximum wind gust of 117 mph in Lanarkshire, Scotland. In Scotland and northern England, there were reports of mean wind speeds of 75 mph or more. 85 mph wind gusts causes the collapse of five out of the eight cooling towers of Ferrybridge Power Station in Doncaster on this day. Before this northerly brought down cold air, temperatures were well above average reaching maximum highs up to 15c in the southeast of England. Finningley reached a maximum of 15.5c on this day. Newport recorded the highest maximum of 18.3c (which it later recorded again on the 8th). As the cold air sank southwards, showers developed in the unstable northerly flow, turning wintry at times. There was some outbreaks of snow over the Highlands of Scotland on the 2nd/3rd but mostly of rain and sleet. It was sunny and fairly chilly otherwise during these first few days of the month with nightime frost. 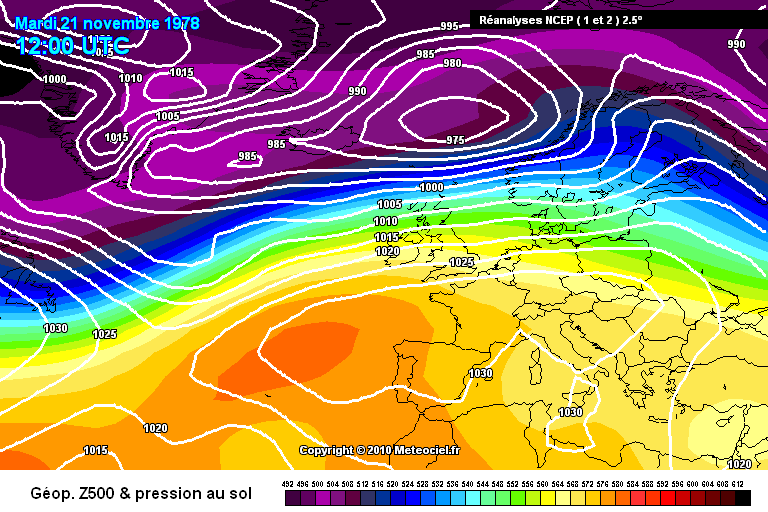 An anticyclone from the southwest of Ireland ridged into the UK and Ireland built in on the 4th to the 6th with sunny conditions and frosty mornings. 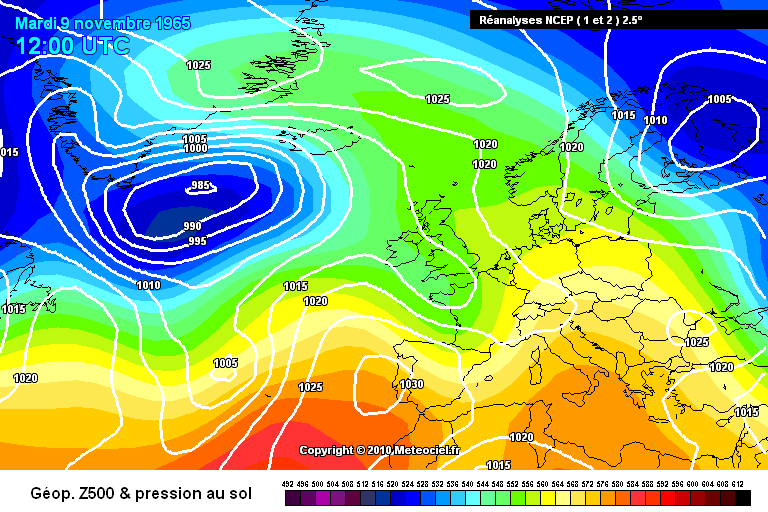 By the 7th, a depression pushed into the south of Ireland and the southwest of the UK bringing rain northwards for a time and ahead from the front drawing up much milder conditions. Up to one inch of rain fell in parts of Hampshire, Isle of Wight and the southwest of Ireland. This rain cleared on the 8th to leave a mild and showery day over the UK and Ireland with variable amounts of sunshine. There was a report of a maximum of 14.8c at Ross-on-Wye on the 8th but as mentioned earlier, the max. reached on the 8th was 18.3c at Newport. The 9th brought another band of rain across the English Channel which moved northeastwards leading to a cloudy and wet day for most. 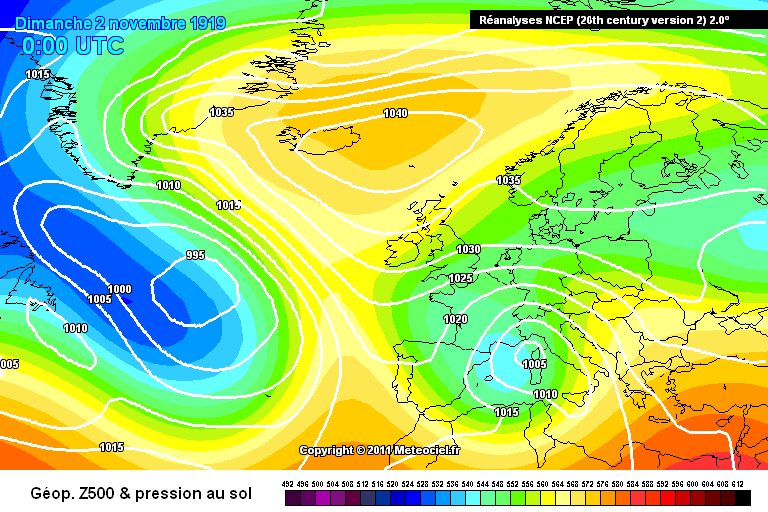 Northern blocking established on the 11th November 1965 with high pressure stretching from Greenland all the way to Siberia and centred over the north of Scandinavia. This resulted in an easterly airflow with the source of air coming all the way from Russia. Low pressure anchored itself to the southwest of the UK and kept getting stuck here due to this blocking. It took a few days for the "real cold" air mass to arrive in the UK and Ireland but temperatures readily dropped until the 16th. By the 15th, nightime temperatures were widely below freezing and in the north, even getting below -10c. Snow showers became more frequent each day, especially along eastern districts of the UK and Ireland. Higher ground of northeast England recorded a snow depth of 5 inches on the 15th. Kew had its lowest daily mean temperatures for so early in the season on November 14th/15th 1965 since 1887. -13.9c was recorded at Braemar early on the 15th whilst freezing fog on the same day led to a maximum of only -2c at Ross-on-Wye. 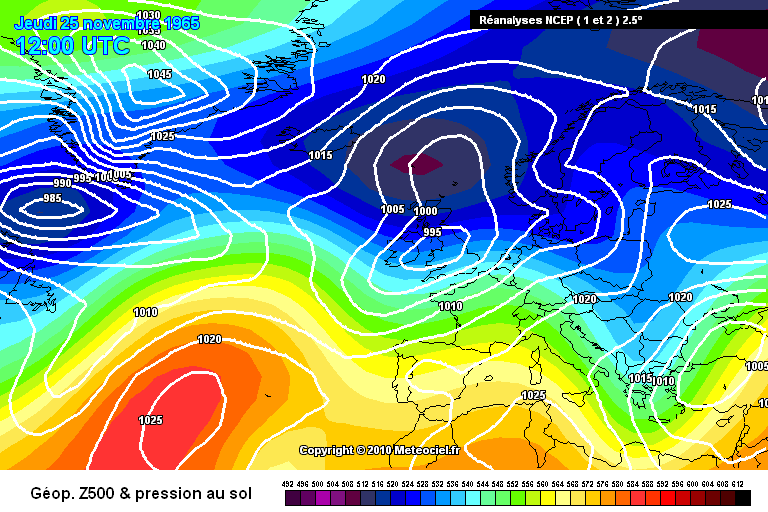 A large depression reached the south of Ireland on the 16th and continued to ascend northwards over the UK on the 17th. On the 16th, this generally fell first as snow with accumulations approximately reaching 5-10cm for lower levels of central and northern England but for Scotland and the Pennines, accumulations were up to 10-20cm. Gale force southeasterly winds made it feel bitterly cold before the depression brought the milder air. As the milder air pushed northwards later on the 16th and into the 17th, the snow turned to rain. 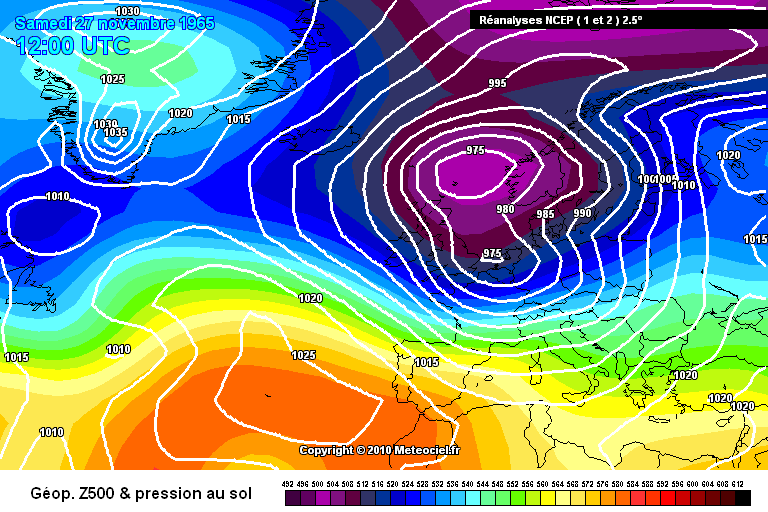 However, due to strong blocking to the north, this low struggled to introduce mild conditions to Scotland so it remained cold there and snowy even into the 18th. In fact, the snow in eastern Scotland lasted throughout the rest of the month. Rainfall totals were between 10-50mm each day over various regions of Ireland and the south of the UK. For example, Brighton had a daily rainfall of 50.3mm on 20th November 1965. Dublin Airport had a daily rainfall of 44.5mm on 16th November. 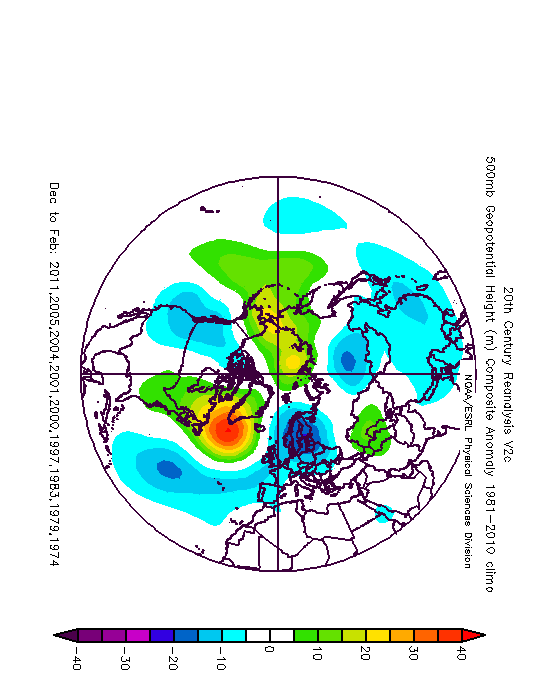 As the blocking intensified over Greenland, low pressure was forced southeastwards into Europe after bringing heavy rain to places from the 16th to the 20th November 1965 with flooding being a real concern by that stage. 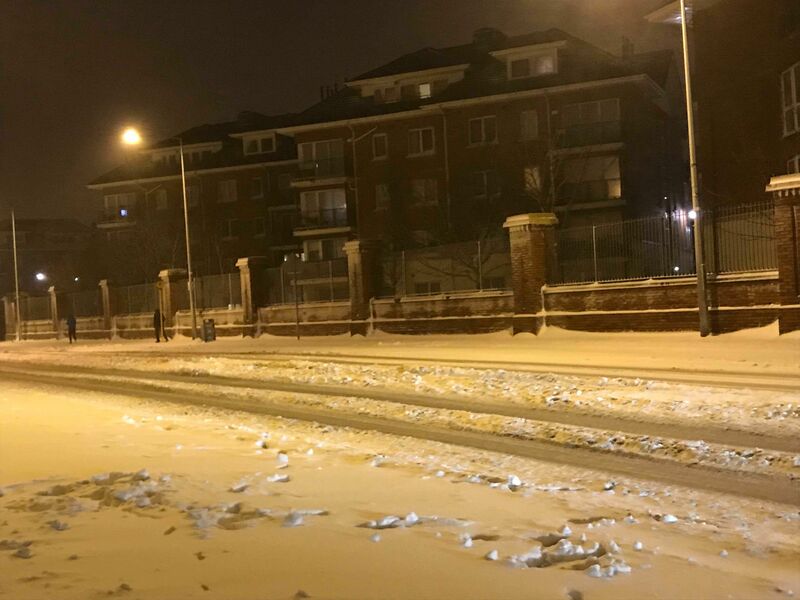 The winds turned into a northeasterly direction with an airstream of arctic origin so the flooding froze in parts and there was increasingly wintry conditions including snow showers even to southern England and south-coast resorts. Scarborough recorded a snow depth of 6 inches on the 22nd. Maximum temperatures were between only -2 to 7c (these are only estimates based on observations and interpretation of charts). 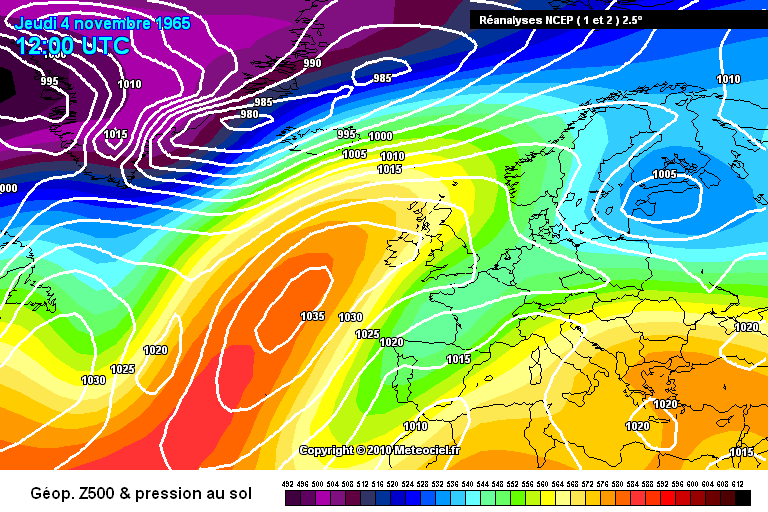 A depression from the northwest of the Atlantic turned the winds into the southwest for most of the UK and Ireland on the 23rd bringing much milder conditions here and melting the snow with the risk of more severe flooding. However, the north remained cold in a northerly to northwesterly airflow. The 24th was a showery and sunnier day. Further rain approached from the Atlantic on the 25th bringing another wet period over the south of the UK and much of Ireland. Rain gradually turned to snow as the wind veered northerly on the 26th into the 27th. 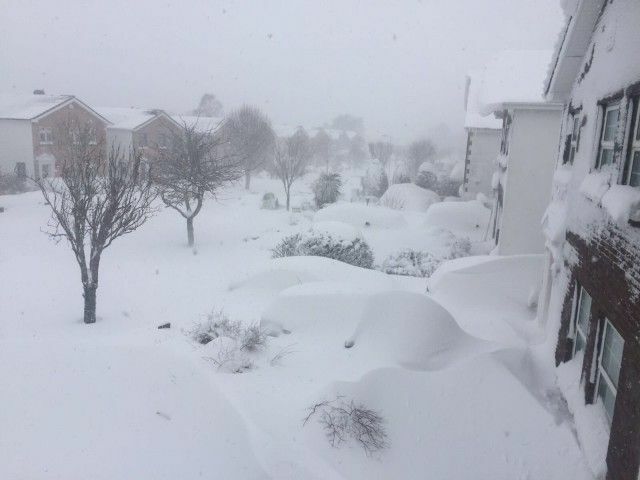 Northern districts had severe blizzards with considerable drifting including in the Durham area where there was reports of 15 foot snow drifts. Roads were blocked and impassable here significantly so. There were 7 foot snow drifts in the Lake District. There was also reports of thunderstorms mixed in with the snow. 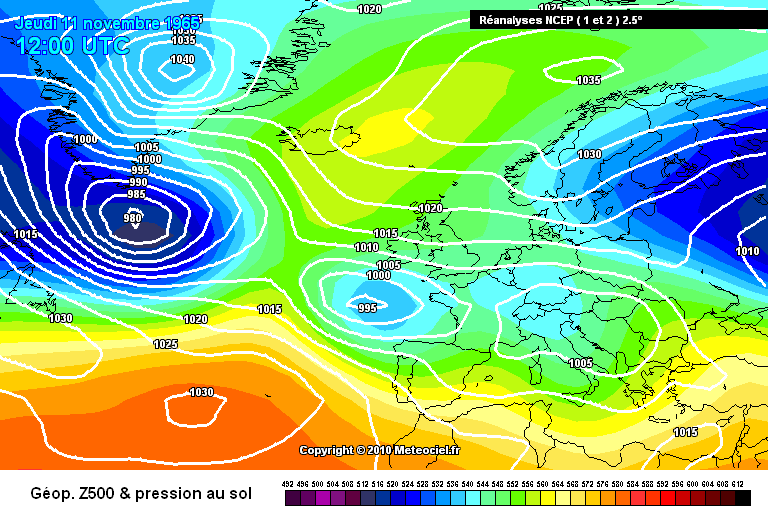 One final deep area of low pressure from the Atlantic interacted with the cold air on the 28th/29th November 1965 bringing rain to southern regions of both countries but up north, there was more severe blizzards. Northern England was particularly badly affected. These were their worst snowfalls they had suffered since February 1947 and the fact they occurred in November makes them stand out even more. Snow depths up to 3.6 inches over the north Midlands, 12 inches in Co. Durham and Northumberland and up to 22 inches in the Durham area. 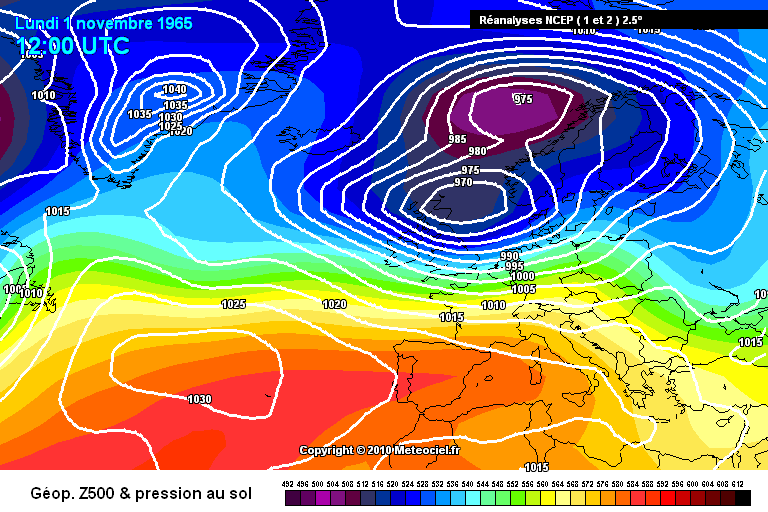 In the end, there was up to 24 days where snow fell in Scotland in November 1965. It was a very wet but sunny month. It was the wettest November over England & Wales since 1940 whilst it was the sunniest November since 1923 generally and at Kew and Manchester, it was the sunniest November on record. 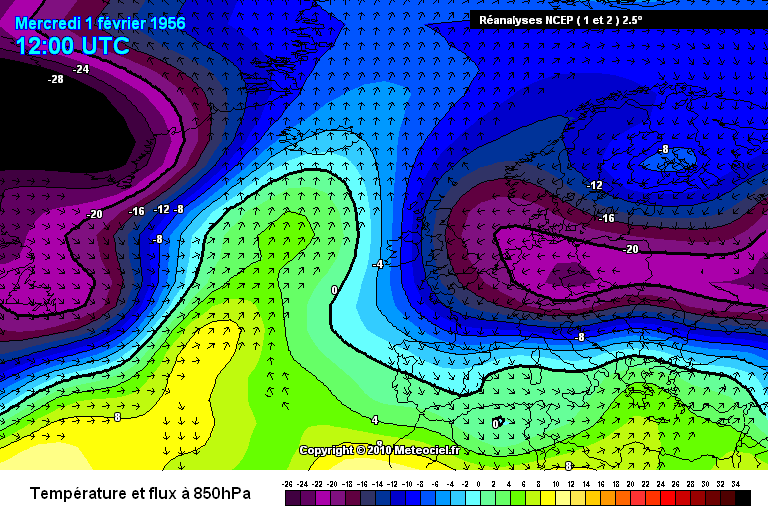 November 1965 was certainly a unique month in many regards here and shows just how extreme snowfall can be in November in the UK if the pattern is there. 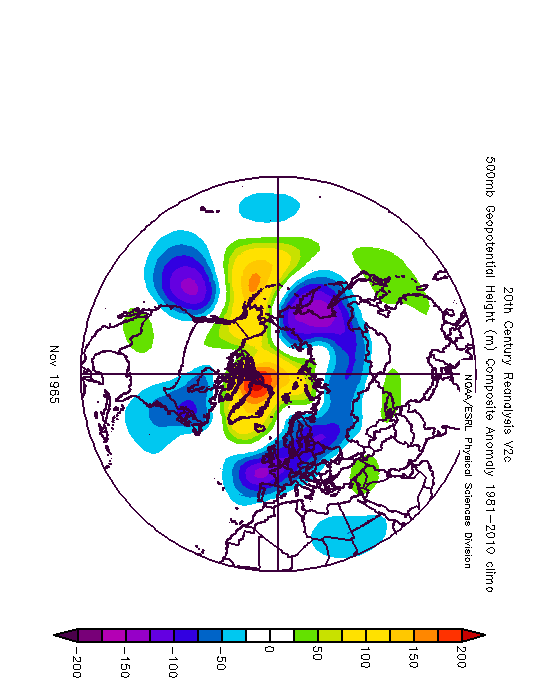 The 500mb height anomaly reanalysis of November 1965 shows a block of high pressure over Greenland and much of the Arctic with below average heights to the south and east of the UK and Ireland. This forces the wind in from a northeasterly to easterly direction. 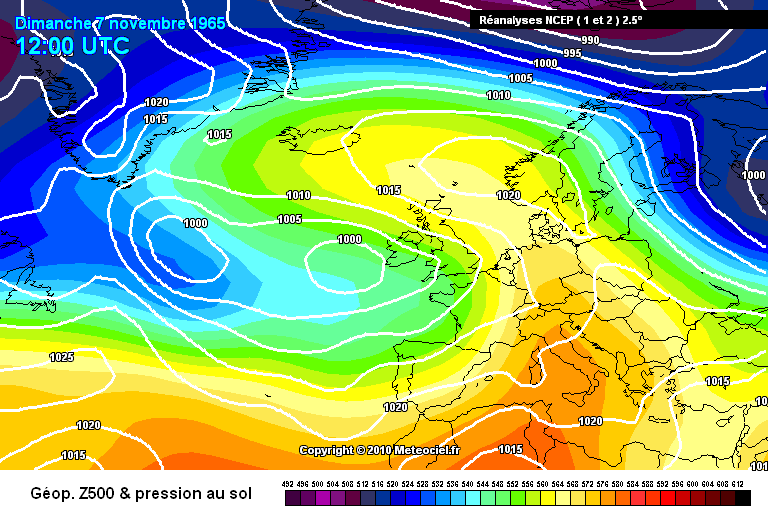 This tended to bring very cold air into the UK and Ireland during November 1965 but the below average heights meant there was battleground scenarios between mild air attacking from the Atlantic coming up against these cold easterly winds. 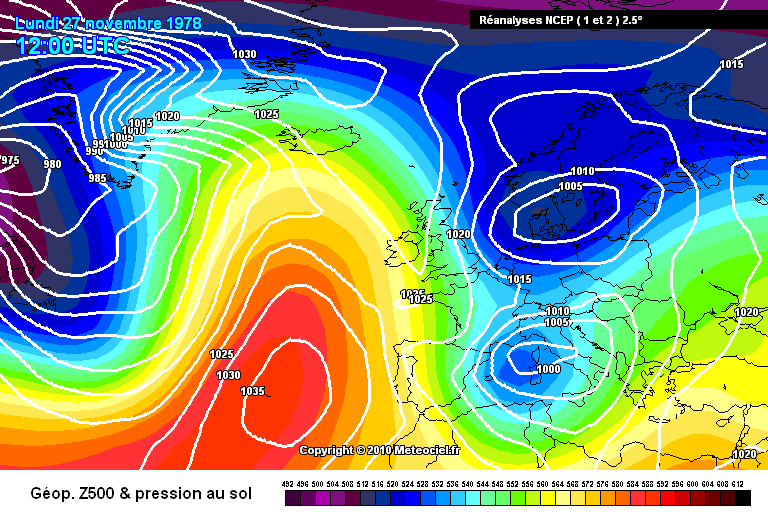 This is why November 1965 was so snowy but also very wet for southern parts of both the UK and Ireland. Hope you enjoyed this analysis of November 1965. If you have any recollections or content (like observations, photos, newspapers etc) to add, feel free to. They always make historical discussions that bit more interesting. What I would do to experience November 1965. Winter 18/19 could end up being one of two very contrasting halves - very mild and snowless first half, followed by a very cold snowy second half (possibly). I posted a few days back the last time I think this happened was 1986, although there was some cold snowy weather end of Dec/early January, so that winter doesn't quite fit the bill. I'm struggling therefore to name a winter that saw an abrupt change from predominant mild to predominant cold bang on mid January. 1946/47 comes close, the cold arrived a little later, and there was some cold earlier in the winter..
1983/84 not a bad call perhaps, but the mild wasn't quite as potent, or the cold. We've had a number of cold first halves followed by mild second halves 1981/82, 1996/97 and 2010/11, good examples though the cold petered out slightly earlier than mid month in 1997 and 2011. 2018 was giving 2010 a run for its money until November/December came along (which were sadly a very depressing end to 2018). June was stupendous. Absolutely perfect. I could not have had a better June weather wise than June 2018. Perfect temperatures. Fantastic sunshine and in high frequency too (June 2018 was the sunniest month I've experienced so far). This is one of the rare months where I give the full 10/10. December was atrocious. Nothing exciting whatsoever with exceptionally dull conditions! 1/10, first time I've given a 1/10 since May 2015. 2018 really did end on a damp squib after an exciting year for the most part. Summer was my favourite part which is ironic considering I'm a "snowbie". 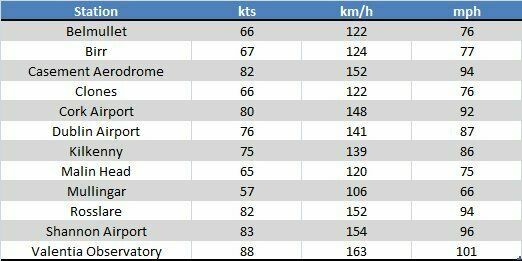 Max gusts for selected Irish stations during this storm. Any idea why it went so wrong in 2008? That was a monster high to our NE! Interesting, does anyone know what that phase space, if that is what it is, represents? I'm familiar with the MJO and GWO ones, but this one is entirely new to me, and, annoyingly the axes are not labelled! Here's how the 2012-13 major warming evolved at 10hPa to compare with the 2018-19 one since the Glosea5 is picking up on it being similar to that of 2012-13. What about DECEMBER 2010, that was more or less uninterrupted... a month!! The coldest Winters list is based on the Central England Temperature (CET) series and Winter 1955-56 had a CET of 2.9c so does not fit in the top 10 which that list was based on. Would appear if I made the list a bit longer. 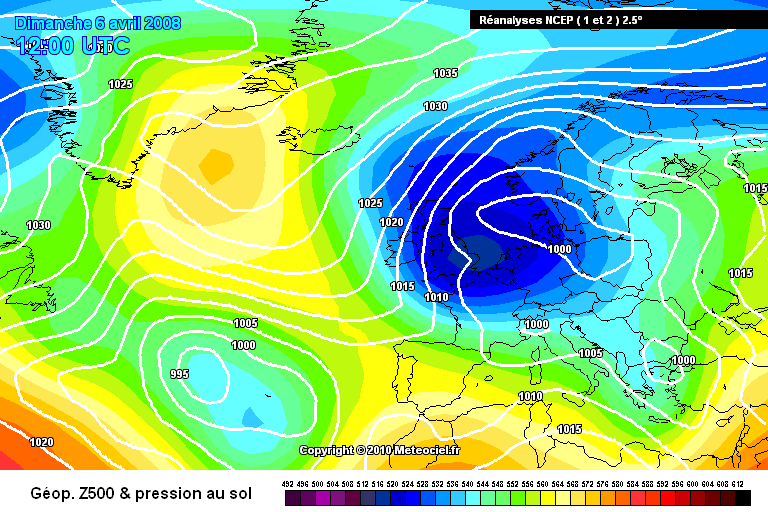 As others said, early February 1956 brought a severely cold easterly in. It's kinda incredible how the transition happened from zonal to easterly. I'd rate solar activity higher than ENSO or QBO for correlation given my research although even solar activity has its odd ones out. All elements have to be considered rather than taking one completely as a basis. One thing I know that definitely points towards a mild Winter is the Atlantic SST anomalies, they are just not conducive to negative NAO going by the UKMO methodology. Yes, it's something that we've heard a lot from non forum member types - that this year's easterly at the end of February/beginning of March was exceptionally cold, when actually, while temperatures in lowland England and Wales for the time of year (effectively early Spring less the last day of winter) were considerably below average without a doubt, they were not of course comparable to 1991, 2009/10 etc because it was so late in the season (or early in the next one depending on whether you use the meteorological seasons or not). That said, it was quite a remarkable spell of weather. It is a very slow start compared to some of the previous La Nina esque autumns which bring early shots of cold to central Europe. Looking at EPS from this morning I struggle to see how are going to achieve the advertised amplified pattern in vicinity of UK near the end of the month. Well thank goodness its only November. Well nature can amaze us sometimes 'cause look what happened following that chart @Ed Stone showed from November 1978, this was the end of the month. I can't imagine the forum surviving a month like December 1978 with the amount of toys being thrown out of the pram. Patience is a virtue people. About November 1946 which I mentioned the other day too in an evaluation post on why it's far too early to be getting disappointed, according to this reconstruction of the QBO, 1946-47 was a westerly QBO Winter yet it was also solar maximum. Make of that what you will. 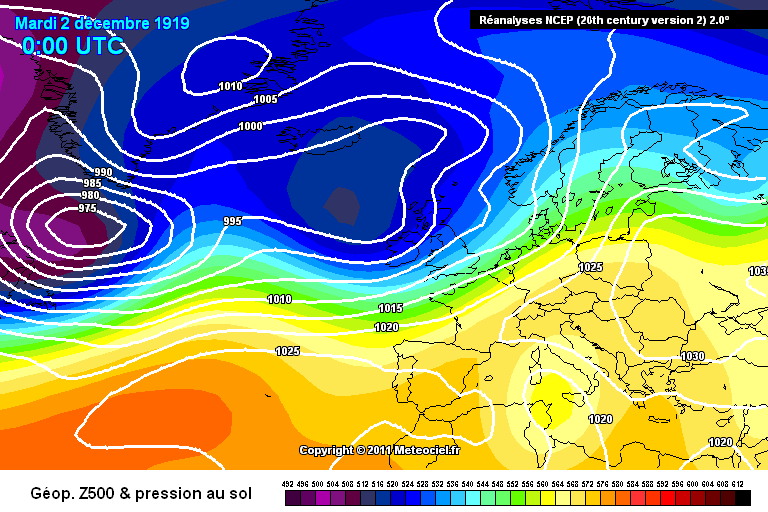 December 1919, no blocking to be seen and ended up a mild, wet and cloudy Winter following a very cold November. Was a complete write off from a cold perspective, similar to the 1998 example @Weather-history gave above, except 1919 had a November with cold extremes. 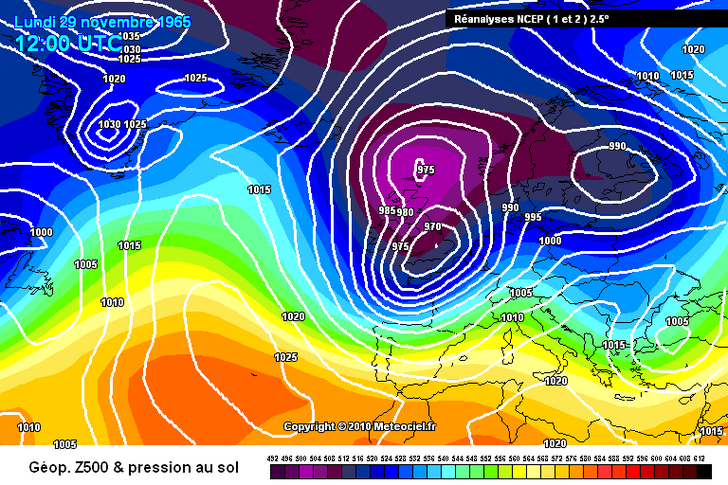 GFS 06z is not bad, I've seen far worse (millions actually). 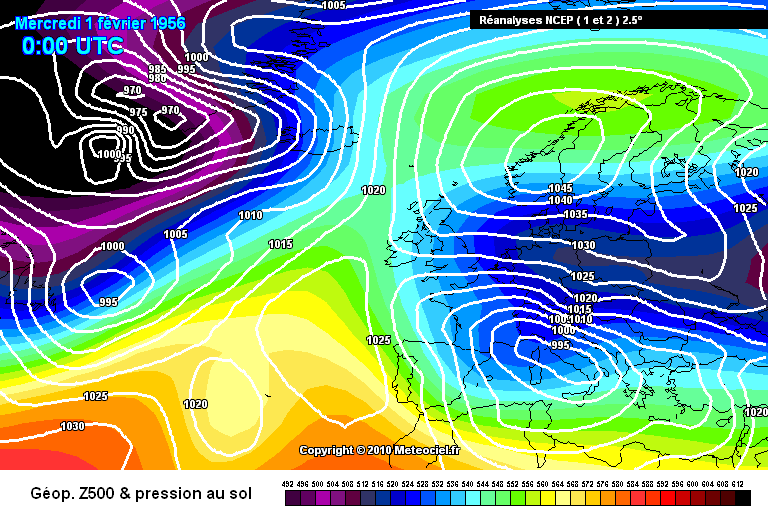 ECM 0z was not great short term but the displaced Azores High should be noted, like in 1962 ^. 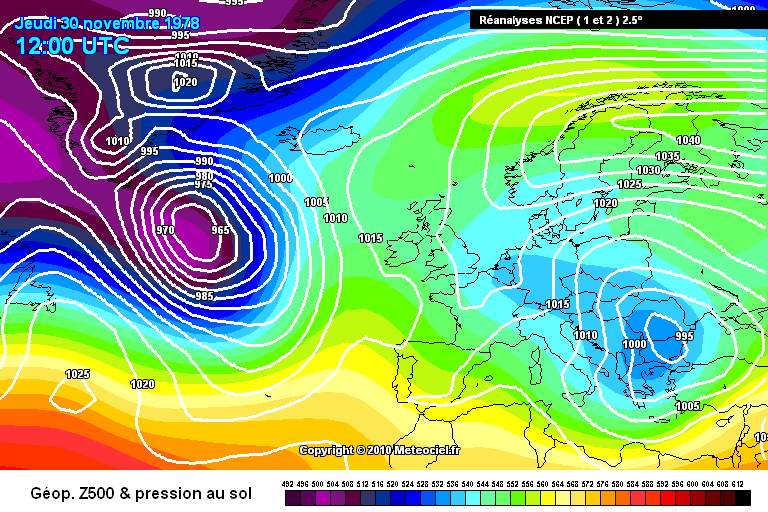 I do, but its hardly 1 individual run in isolation mate, another horrid 00z GFS to add to the previous ones, even Blue army has said the trend is away from anything wintry looking. Come on man, it's early November, what do ya expect like seriously? It's not what happens now that matters, it's the prospects of what could happen in a few weeks from now. 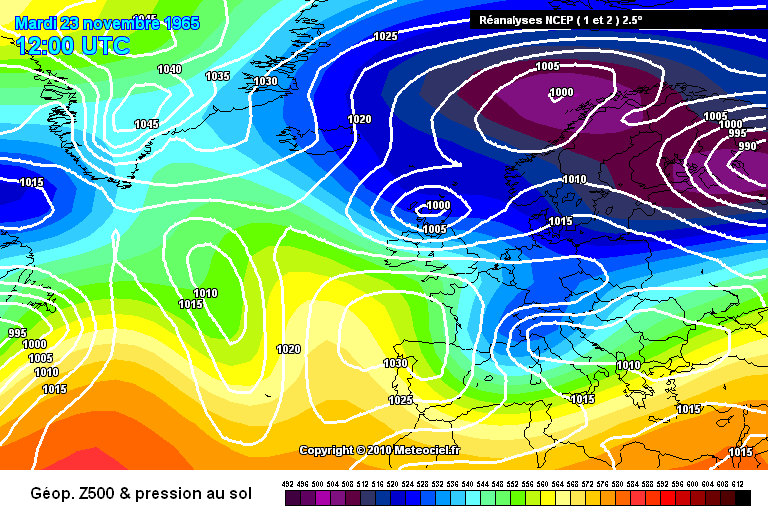 Wouldn't mind a proper cold, wintry January for a change! 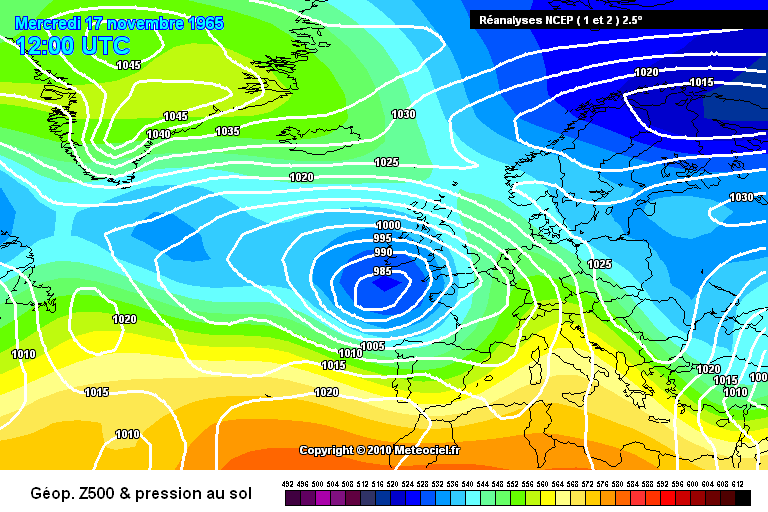 Just had a look at the GFS 0z myself, reminds me of November 2009 again. 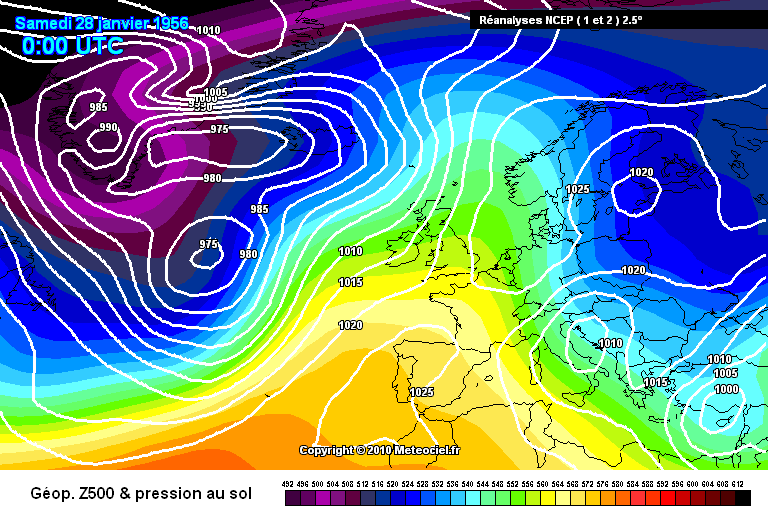 Not your usual zonal pattern, fronts struggling to push west to east.